I desperately needed to visit the doctor. But I didn’t have enough money to pay for an office visit. Like many Americans, health care is an expense I struggle to fit into my budget. A simple 2014 visit to the emergency room left me with a massive bill. I vowed never to let that happen again. My income puts me in the limbo zone, where quality health insurance isn’t quite affordable, but income-based assistance also isn’t an option. So the financial expense becomes the determining factor in my medical decisions. When it comes to non-emergency care, the costs of office visits and wellness treatments send shivers up my spine. I put off my annual exam at the optometrist, and stretch my dental cleaning appointments as far apart as possible. I’ve also relied on confusing discount programs and prescription savings cards to fill in the gaps in my health care coverage. Still, routine care costs too much. And yet, just a few weekends ago, I enjoyed a consult with a top-tier physician, received a customized treatment plan and scheduled a follow-up appointment — all for the bargain-basement price of $40. Did I mention it was on a Sunday? There’s only one catch: You’ve got to be open to online health care. Exasperated after months of not visiting a physician, I Googled “affordable dermatologists” in my area. Suddenly, I was introduced to a new world: telehealth, also known as telemedicine. Sure, I’d heard of paying for advice from online health experts, and I’ve used services like ZocDoc to make appointments with local practitioners. But I didn’t realize I could virtually visit a board-certified medical professional online. An iPhone app called Spruce lets you virtually meet with a dermatologist. Doctors use the platform to address a wide range of common skin conditions, from acne to eczema — and nearly everything in between. The app carefully walked me through a detailed questionnaire, provided disclosure info about HIPAA regulations, and even allowed me to submit photos for the doctor to review. I plugged in my credit card information and crossed my fingers. A few hours later, I received a detailed message from the specialist assigned to my case. A Vanderbilt-educated physician — who has offices in San Francisco and New York — gave me a detailed treatment plan and sent my prescription to the Costco pharmacy near my apartment, just as I asked. Oh, did I mention the free follow-up visit 30 days later? The app even linked me with a dedicated care coordinator, who offered guidance on finding affordable medications and scheduled my follow-up appointment. She carefully researched local drug prices and even volunteered to transfer my prescription to save me more money. Does your traditional doctor’s office do that? My positive experience with distance dermatology left me wondering: What other medical treatments can one receive via the web? As it turns out, dermatology is far from the only specialty with digital consult options. 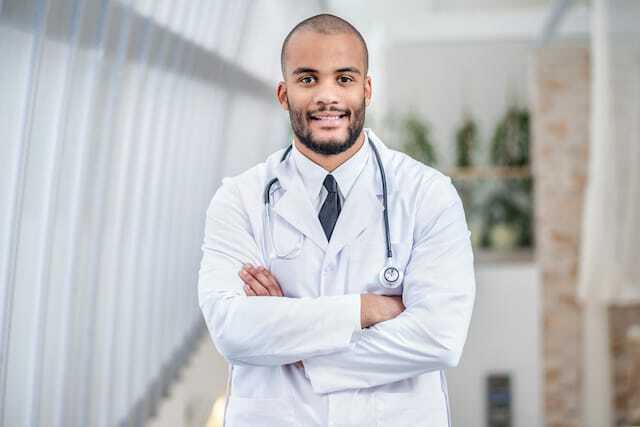 Services like virtuwell and Teladoc connect patients with nurse practitioners and physicians who treat the common flu, provide guidance for lice eradication and even prescribe birth control. Of course, speaking to your doctor online does have limitations. I’ll still need to schedule an in-person visit for my eye exam, and many ailments require lab tests and physical scans for proper diagnosis. But virtually visiting doctors is definitely a savvy way to start saving money on your medical bills. Plus, if you’re using a service like Spruce and aren’t satisfied with your visit, you’ll get a full refund. You may also find a specific telemedicine platform doesn’t offer consultations in your state. Regulations governing the admission of virtual medical guidance vary greatly across the U.S., so check the FAQ before signing up. More than half of all hospitals in the U.S. use telehealth solutions, the American Telemedicine Association reports. The growing trend will likely lead to many exciting future treatment options for both doctors and patients. But as far as I’m concerned, paying less than $50 for an office visit is reason enough to celebrate. Your Turn: Would you consider visiting a doctor online to cut your medical costs? Adam Zetterlund is a digital marketing strategist and writer living in New York. When not furiously scribbling in his notebook, he can be found enjoying long walks with his cocker spaniel, Oliver.